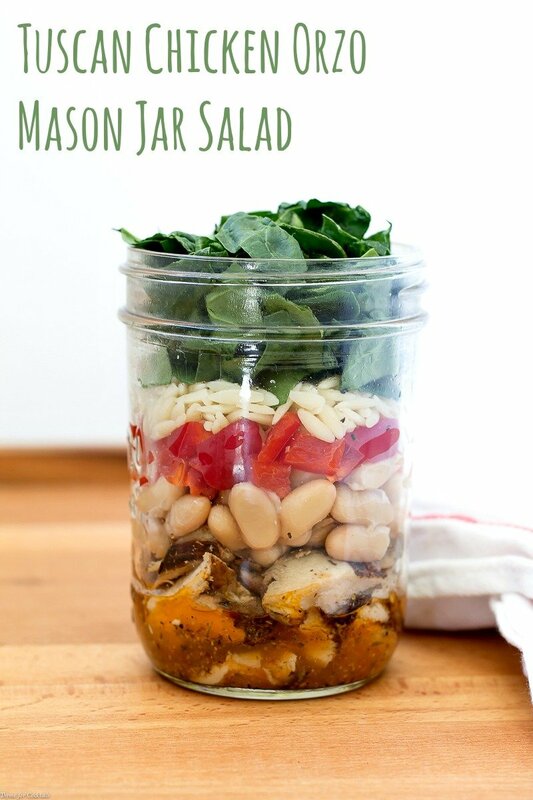 My recent love of jarred salads continues with this Tuscan Chicken Orzo Mason Jar Salad full of balsamic grilled chicken, creamy cannellini beans, red bell pepper, orzo, fresh local spinach and my Ultimate Italian Vinaigrette. I seriously can not get away from salads recently. The guys are all about meat and potato dishes and will eat them all day every day. Personally I have to get my regular ration of greens or I start to feel sluggish and hazy in the brain. 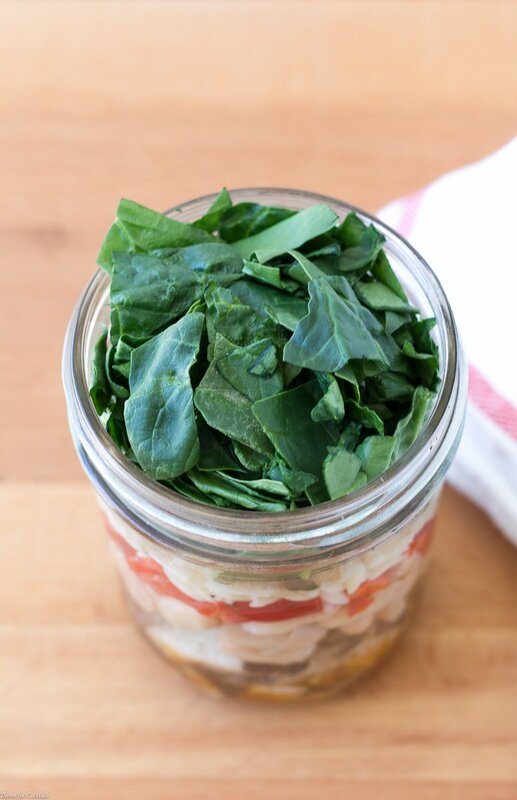 [bctt tweet=”Tuscan Chicken Orzo Mason Jar Salad #fresh #real #food #leftovers” username=”thyme4cocktails”] The kid took us out for dinner last night to a local pizza joint and while they devoured a large sausage pepperoni pie I dug into a giant green salad. Granted there was a healthy dose of ranch dressing on that salad but it’s all about balance, right?! Today has been a kitchen day, which means I am testing recipes, prepping posts for next week and working on sponsored projects. It also means cleaning the odds and ends of out the casa fridge. 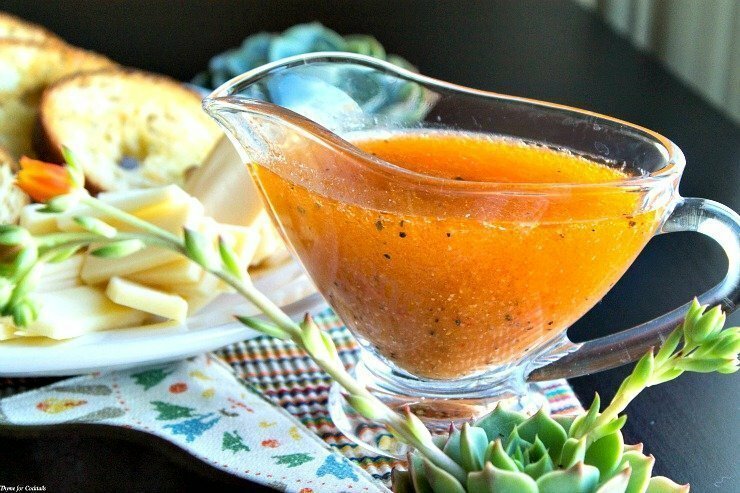 Plus it gives me an excuse to dip into my Ultimate Italian Vinaigrette which is a salad’s best friend! 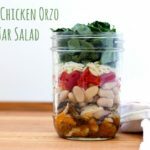 This Tuscan Chicken Orzo Mason Jar Salad is the product of that cleaning. Sure I could have just tossed it all in a bowl but that doesn’t have the same visual as a jarred salad. The different colorful layers appeals to my creative side. 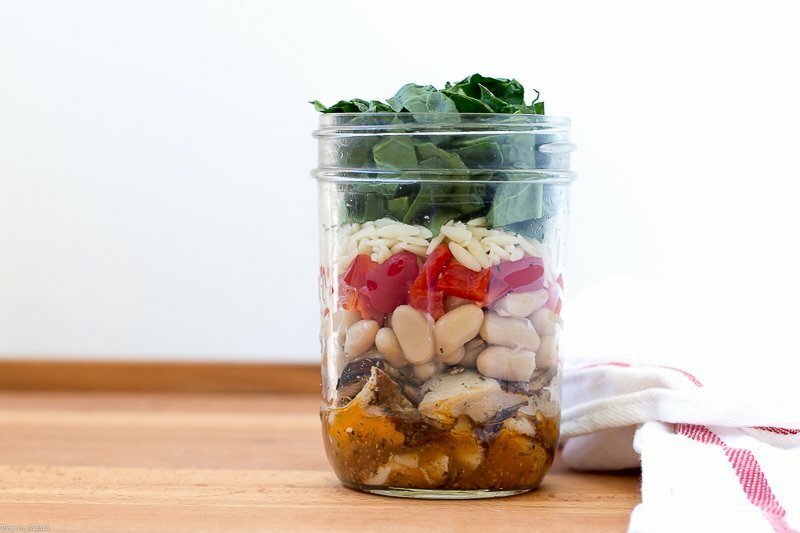 My recent love of jarred salads continues with this Tuscan Chicken Orzo Mason Jar Salad full of balsamic grilled chicken, creamy cannellini beans, red bell pepper, orzo and fresh local spinach. Heat a grill pan over medium heat. Salt and pepper chicken, cook 3-4 minutes on each side until done. Brush with balsamic vinegar during last 1 minute of cooking. Rest on a plate 5 minutes, then roughly chop. Add desired amount of Ultimate Italian Dressing into a pint sized mason jar. Layer remaining ingredients in order listed. Serve immediately or chill overnight until ready to serve.